Decorative Iron Square Bases - Order Online Now! Our Square Bases are both decorative and functional. They mount Pickets and Balusters to most surfaces and cover the hole in the ground. Square Bases are used with Square Tubing but they themselves are not necessarily square in shape. They are used with Square Tubing of the size outlined in the "Use With" box below. 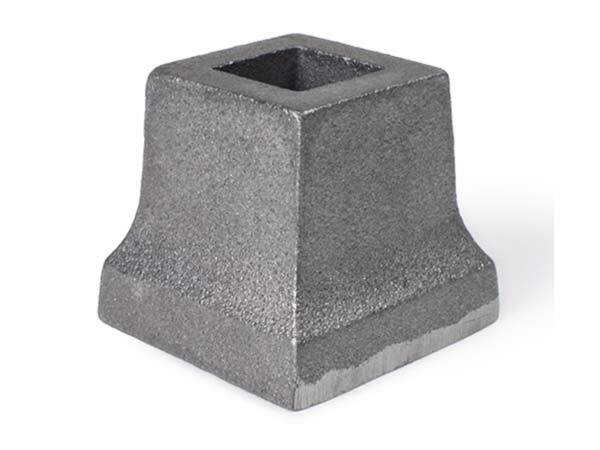 Both Aluminum Square Bases and Cast Iron Square Bases are offered below.